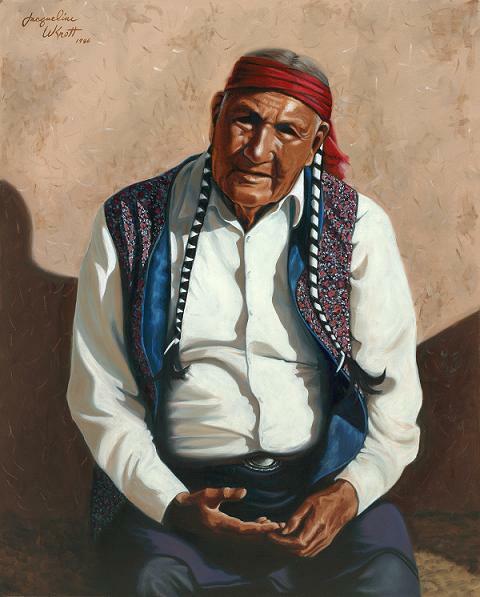 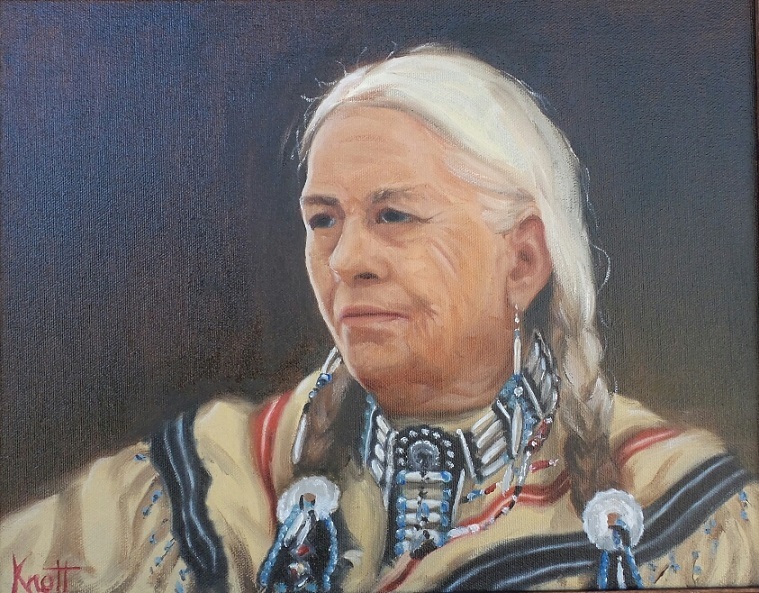 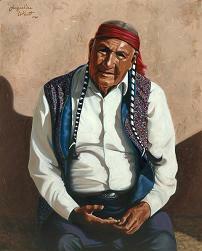 Cherokee Elder, 11 x 14, oil on canvas, El Paso, TX. 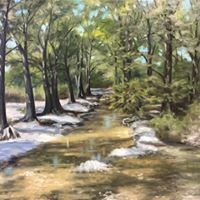 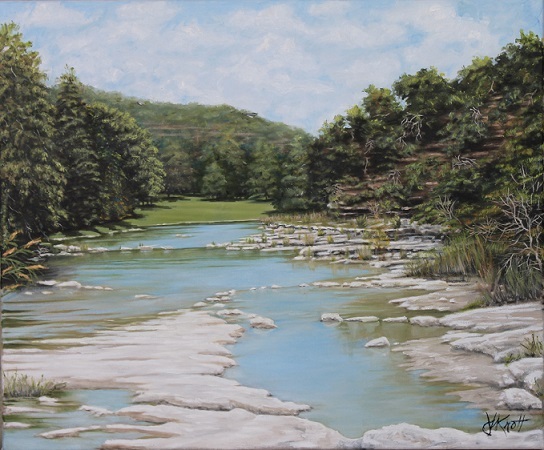 Cypress Creek, oil on canvas, 16 x 20, Euless, TX. 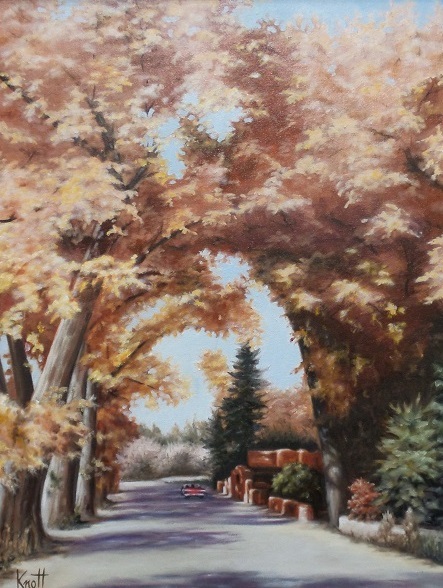 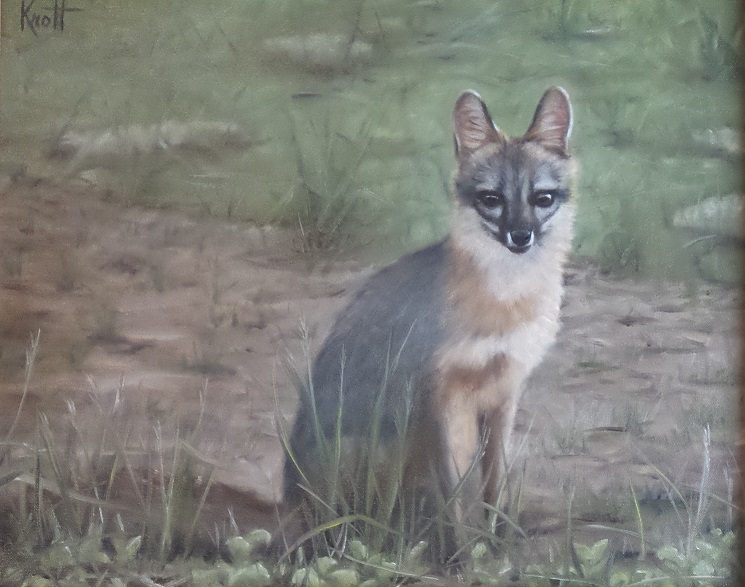 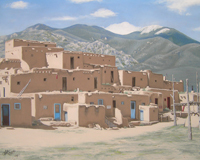 Taos Gold, oil on canvas, 18 x 24, Jefferson City, MO. 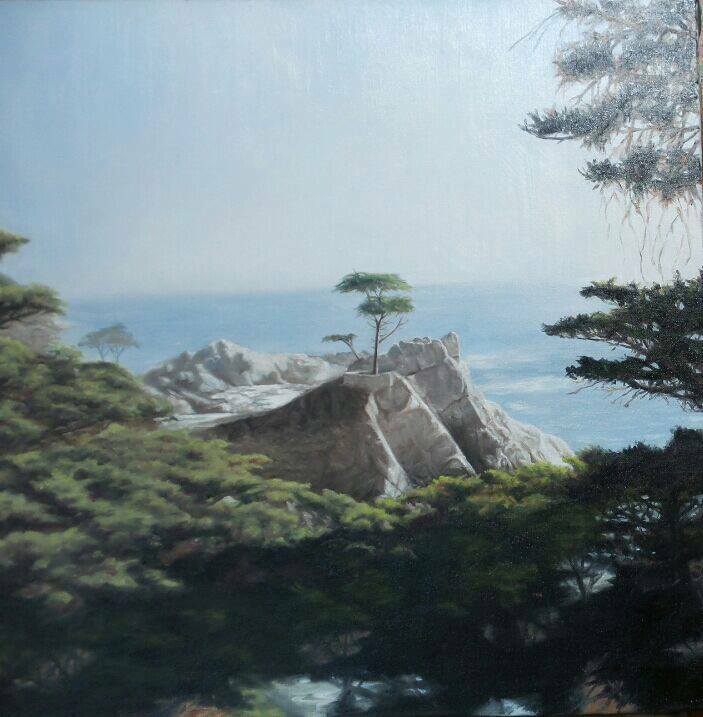 Lone Cypress, 36" square, oil on canvas gallery wrap, San Marcos, TX. 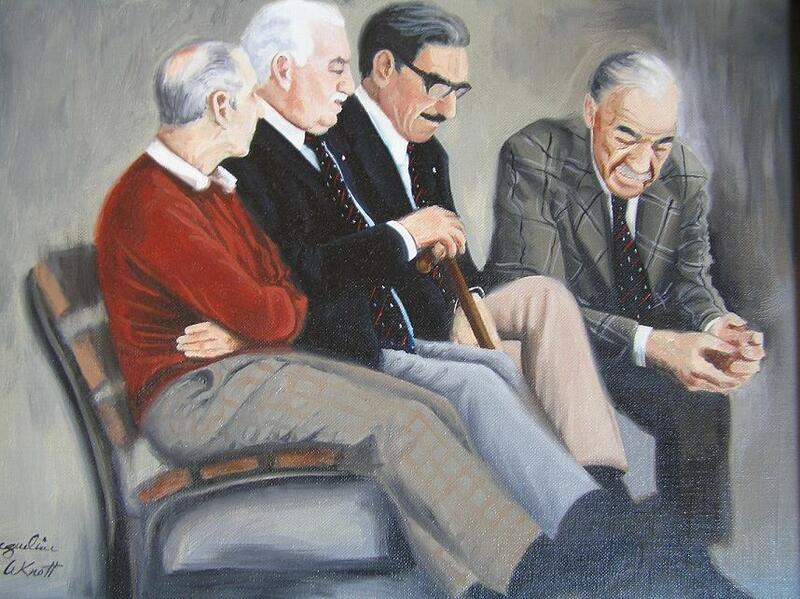 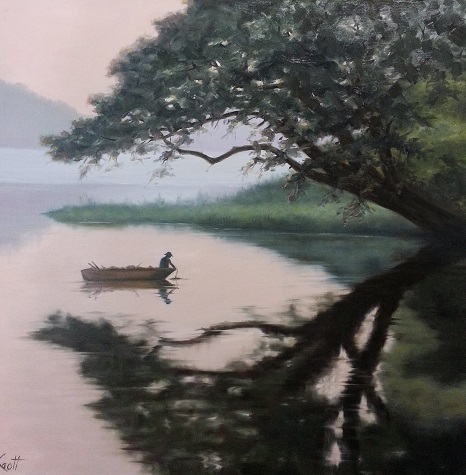 A New Day, 16 x 20, oil on board, Jersey City, NJ. 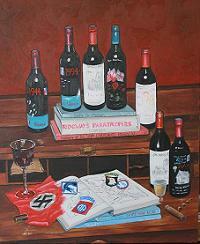 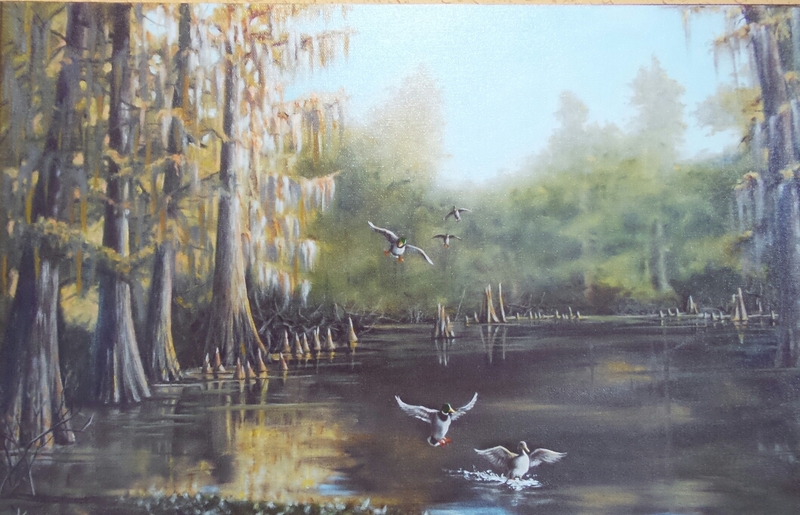 Duck Hunter's Delight, 22 x 28, oil on canvas, Euless, TX. 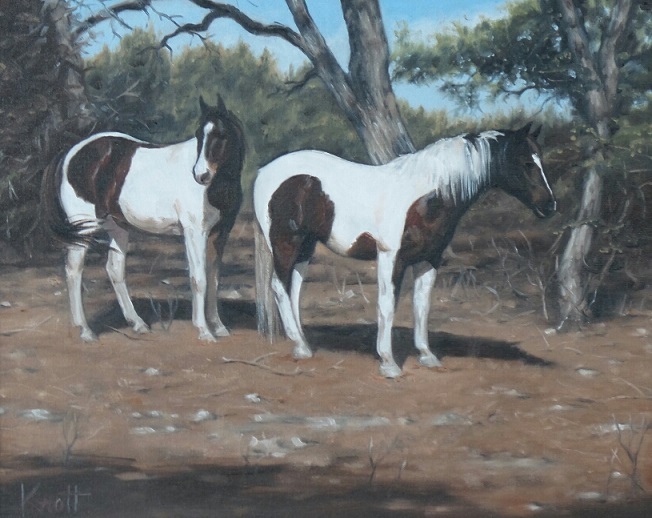 The Name is Big 'Un, 22 x 28, oil on canvas, San Antonio, TX. 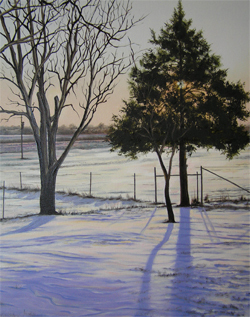 14 x 22, Boerne, TX. 16 x 20, Bedford, TX. 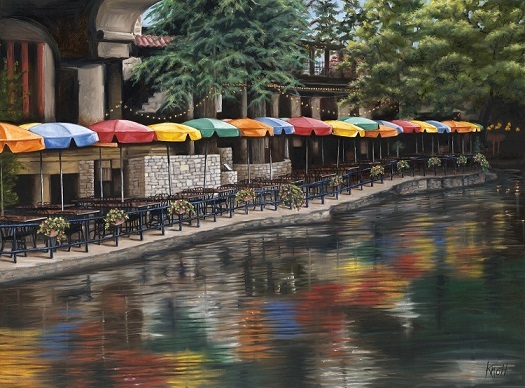 Dawn Reflections, oil on canvas, 36" square gallery wrap, Arlington, VA.
Riverwalk, Oil on Canvas, 30" x 40", Canyon Lake, Texas. 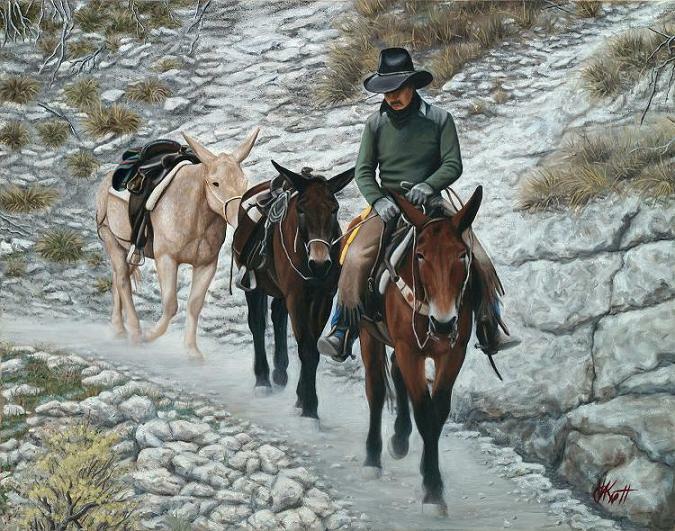 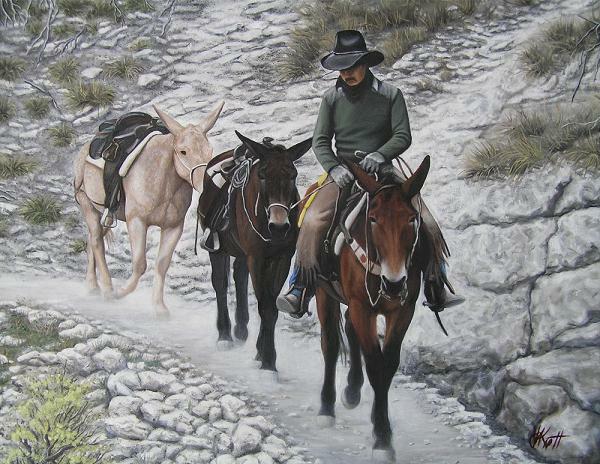 Grand Canyon Mules, 22 x 28, oil on canvas, Euless, TX. 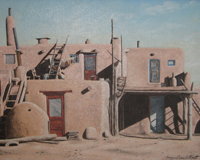 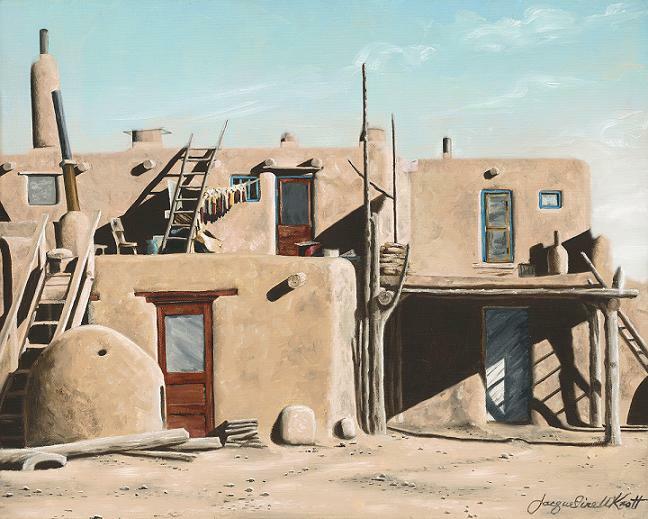 Taos Pueblo #2, 16 x 20, oil on canvas, Washington DC. 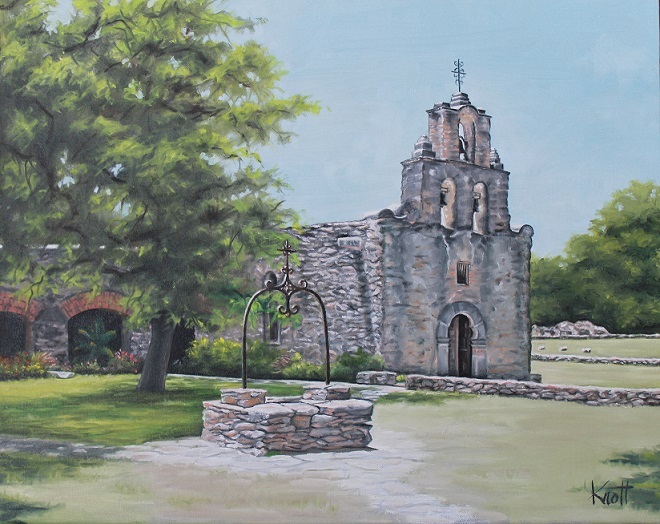 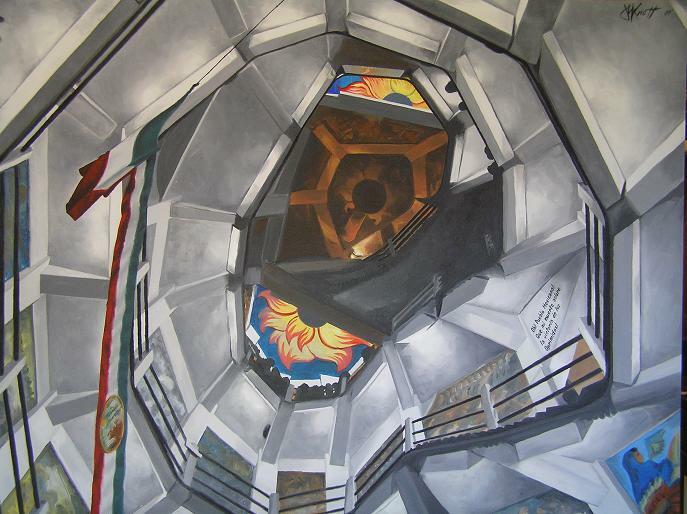 Oklahoma Christmas, 16 x 20, oil on canvas, Checotah, OK.
Michoacan Monument, Island of Janitzio, Mexico, 30 x 40, oil on canvas, Washington DC. 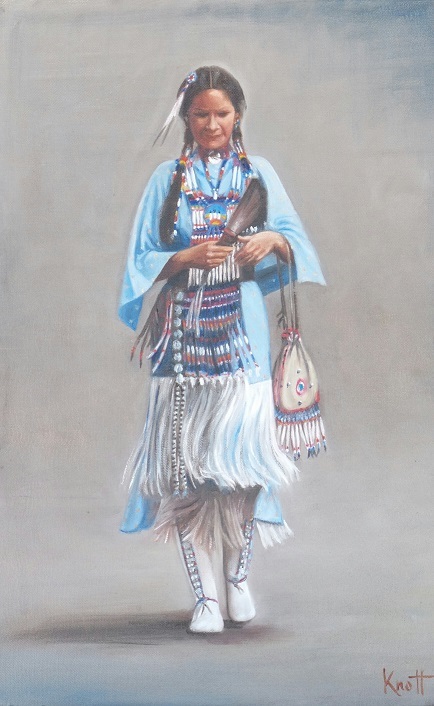 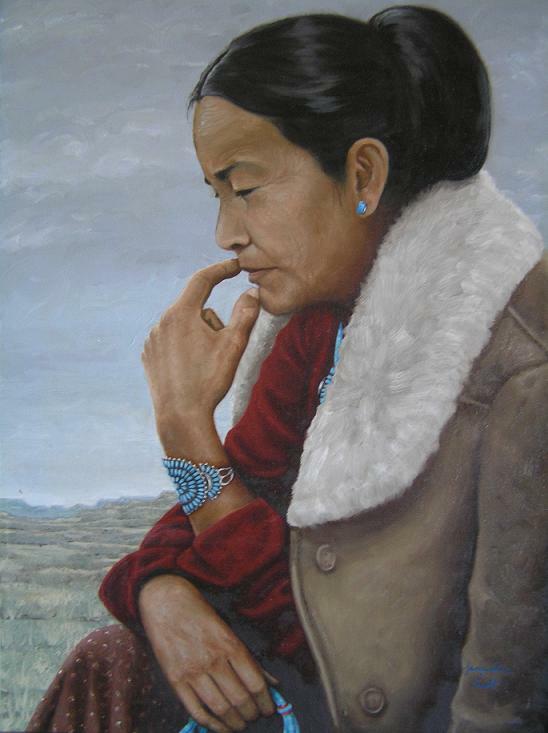 Navajo Matron, 24 x 18, oil on canvas, Arlington, VA.
Taos Pueblo, 16 x 20, oil on board, Houston, TX. 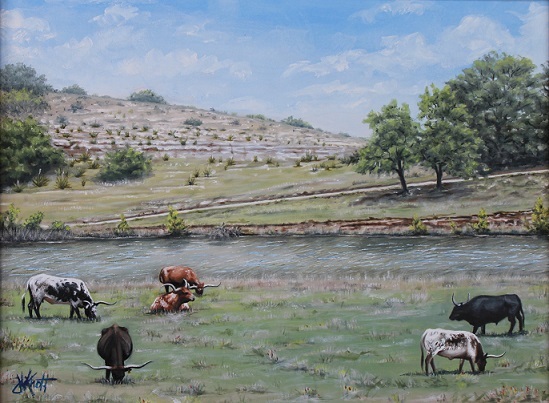 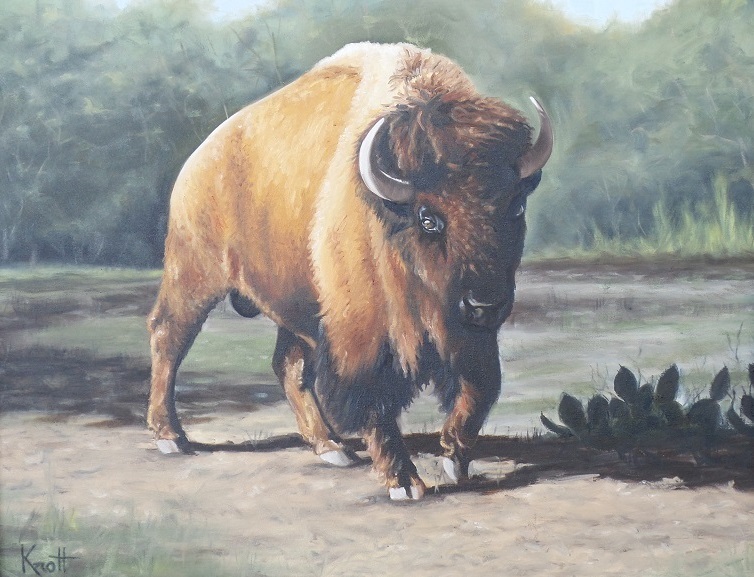 "Morning Sun", 24 x 30, oil on canvas, artist collection, Canyon Lake, TX. 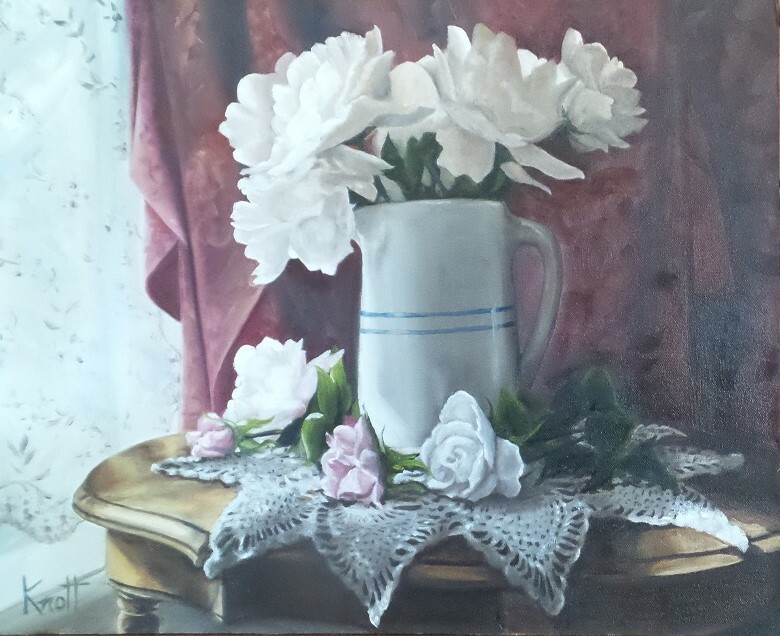 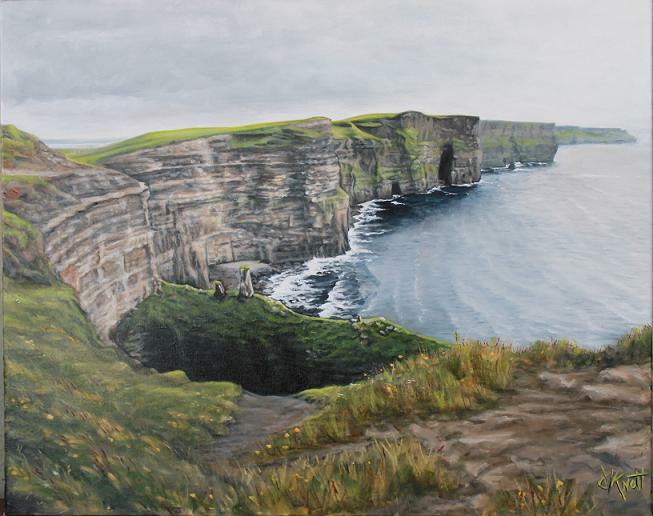 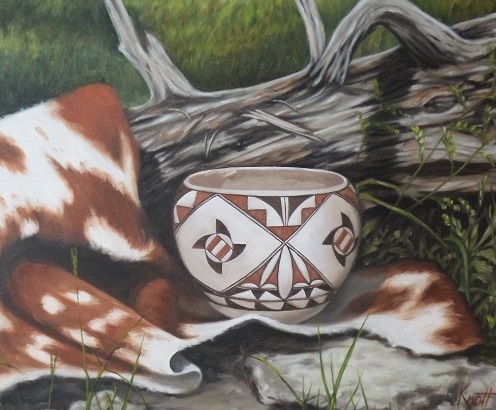 Normandy, 24 x 30, oil on canvas, Nokesville, VA.
Laguna Pueblo Pot, oil on canvas, 20 x 24, Euless, TX.